Having control of what you eat is a nice change from guessing what you are eating from you local grocery store. When you think about it, it makes more sense to be aware of the origin of your food, how it’s nurtured and knowing how it may be of benefit to you, especially in these modern days where many of us are becoming more susceptible to lifestyle diseases just because of what we consume. If you want to grow your own organic vegetables in Calgary, your garden area can be integrated into your landscaping plan or landscape design. If you are considering growing fruit in containers you may want to look a growing strawberries in Calgary. Strawberries are one of the most healthy foods you can eat. Above and beyond, there is that type of satisfaction you get watching a seed you planted flourishing, flowering and bring into being your favorite veggies. Our grandparents and great-grandparents enjoyed this. Thankfully enough, the new generation is slowly opening their eyes to this reality, becoming more aware of the gains realized in growing their own produce and gradually rolling back to the good old days. 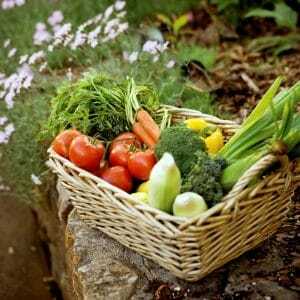 In Calgary, it is very plausible to grow your own organic vegetables at home and still reap in quality and quantity. When it comes to food, how benign it is to your body cannot be taken for granted. Ingesting content constituting harmful substances can gravely affect your health. Thus, safety comes first and according to a pesticide residue study done but the Canadian Food Inspection Agency (CFIA) buying organic food doesn’t guarantee you that. Growing your own organic vegetable can put you in control of what is in your produce. Notably, growing your own organic vegetables in Calgary can be very convenient as you can grab any ripe ingredient when you run out of it. Not forgetting the variety of organic veggies you can grow in your backyard. So, if you are equally into saving some cash and enjoying that incomparable juicy taste of your own produce, consider growing your own organic vegetables in Calgary. Foremost, consider growing vegetables you would rather not buy like potatoes and spinach; thus eliminating the likelihood of buying produce that are dirty or pesticide-laden. Choose vegetables and fruit that will give you a high yield for Calgary’s short growing season. Some of these include strawberries, potatoes, saskatoons, sweat peas, spinach, green beans and tomatoes. Another way to maximize your produce is by spacing them. You can achieve this by plotting out and designating spaces for your vegetables regardless of how small your garden size is. Moreover, you can stagger the planting course of a particular vegetable and grow a number of seeds ahead of others. This can create space and at the same time consistently yield produce all season long. Another important tip many find hard to follow through, though easy, is growing your plants indoors rather than relying on pre-grown plants from greenhouses. You can also choose to start your seeds under grow lights during winter and transplanting them to your outdoor garden is spring time. This will give you the freedom on how to develop you vegetables from scratch making transplanting indoors to outdoors and vice versa easy, convenient and manageable to your plants. To start living high on the hog whilst having healthier food options within your grasp, you must get your hands dirty, literally. Though planting and nurturing seeds and bulbs may seem intimidating at first, it is actually fun in the long run. Get on board and enjoy that fresh and tasty meal by growing your own organic vegetables in Calgary.